Why live a life of complacency when an entire universe of possibilities is right inside of you? We all use coaches in our life almost every day. The trusted friend you call after a hard day at work, the partner you unload on, the parent you might call, the friend at work who nods in agreement when "that thing" happens again. Each of these people provide something in the instance, but none of them are dedicated to the bigger picture - YOU. Your life, your success, your happiness, your sense of belonging, of place, of impetus, of evolution. Here is where a coach can help tremendously. Our job is to help you look deeper, to hold your feet to the fire, to challenge you when you want to be complacent, to help you architect a catapult for your own life. - Find Grace for the process of growth, yours and that of others around you. Kate gave her love and attention to me as I worked to move through a devastating divorce. Her kindness was a salve at a time when I was deeply suffering, but she offered something else: her sage advice. She would remind me, again and again, that it was ok to hurt, to cry. And, when it was time, she also reminded me that it was ok to try, only to try, to give love another chance. Those few weeks of coaching with Kate came at a pivotal time in my life. The breakup had left me with a weakened sense of self and an increased belief that I might just be unlovable. I was becoming paranoid about exposing that self, as we all must do, to any form of vulnerability. After all those weeks of venting and brainstorming, laughing and crying I realized that Kate's willingness to be open and real was enough to inspire me to do the same. Our clients spend a lot of time in the field pushing themselves through bottlenecks of frustration and into freedom and happiness. But it doesn't have to end on the ski slope or on your yoga mat (or in the museum, painting studio, restaurant, or hiking trail for that matter). We work so hard, we try to achieve success, but we don't always feel happy in our day to day lives and relationships. Do experience feelings of despondency, lack of passion, like you have achieved success but still, there is something missing? Working with Kate can help you hone your perspective, making it easier to create, experience and share joy in your life. Kate is the real deal. She is compassionate and tough. She cares so much about helping others discover more about themselves and choose how they want to be in the world. I am so grateful for her coaching and encouragement. I highly recommend her as a coach, leader, and speaker! Do you find yourself feeling like even though you work hard, you are never quite enough? Do you experience doubt, judgement, ruminating thoughts? Even though you've read the books and you've taken the classes, are you lacking happiness, peace, or a sense of fulfillment in your life? Kate has traveled the world seeking the roots of paths to happiness, and in that journey, she has become a Disciple of the Experience. Kate believes we are more than the sum of our parts, that suffering can be unlearned through practice, and that compassion for the imperfect self, along with a healthy dose of discipline free from judgement leads to freedom and a deep sense of peace. Work with Kate one-on-one in person, over the phone, via skype, take an immersive private trip, or join a group adventure. Come home charged and full of grace and gratitude for the ever evolving YOU. Life experiences frame our expectations and experiences. Each of us walks a path that is shaped by circumstance, opportunity, and choice. You don't have to live your life on someone else's "edge" in order to reap benefits. The purpose is to recognize where your own personal comfort zone is, both internally (how you perceive yourself and why) and externally (what you think you are capable of doing and why), and then ask yourself to step just outside that boundary. The most exotic location you will encounter anywhere in the world is right inside yourself. Personal Coaching can help you get there. That's crazy, I'm not doing that. That's FINE! Kate likes to push herself, and has been living a life of adventure since she could dismantle her crib and crawl away. That doesn't mean you need to have extreme adventures in order to thrive and grow in your life. The point is to stretch your comfort zone to YOUR place of benefit. Grow incrementally, with curiosity, cultivating a slow desire to expand your capacity for change. Every person's path is their own. The point is to grow for you, not to compete with someone else. I've worked with clients who had a fear of walking downhill in ski boots on pavement, and that's where we started, because that's where they were. Examining the beliefs and stories that installed that fear is where the breakthroughs come. Other adventures follow on their heels. We started Transformational Adventures in order to create wonderful, safe, positively stressful environments in which you can explore who you are now, and how to get on, or continue along the path to growth and self-actualization. Our greatest joy is in watching you test YOUR limits, and come back smiling. Where does our coaching philosophy come from? Every one of our coaches brings a unique perspective to our adventures, garnered through a life dedicated to sharing the power of travel and the outdoors with others. Kate's foundational philosophy, the cornerstone of Transformational Adventures, began here. 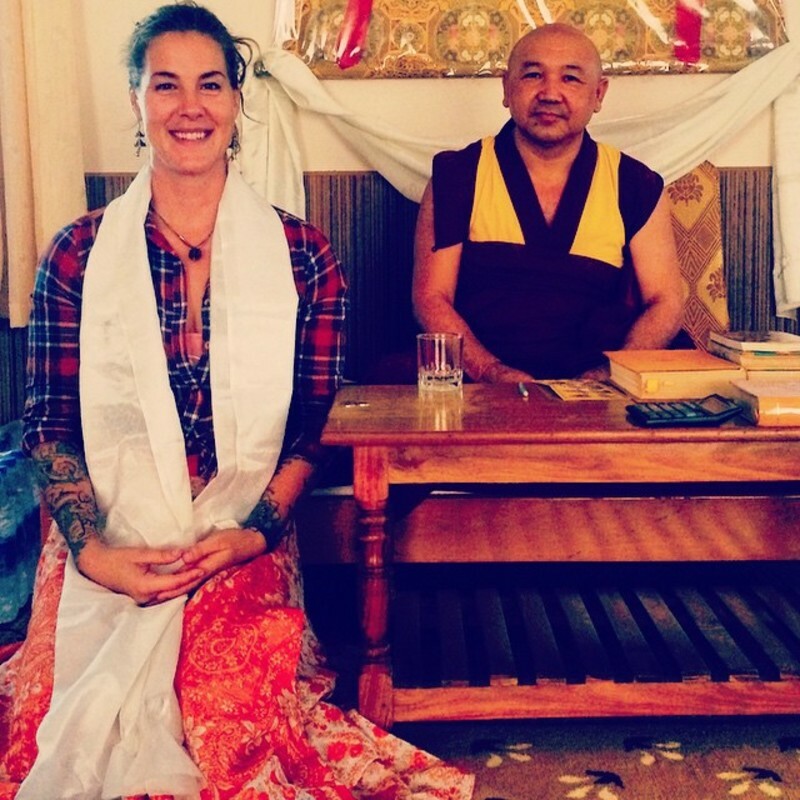 After stepping into a study of Buddhist philosophy in 1996, Kate finally met her teacher at Sera Jey Monastic University for Advanced Buddhist Studies in Bylakuppe India, where she took refuge in 2015. At her refuge ceremony, she was gifted with the name Tenzin Wangmo, Wangmo meaning Fierce Warrior or Protector and Tenzin being the Dharma, after HH The Dalai Lama, and so Kate was gifted with the moniker: Fierce Protector of the Dharma. In 1999 in Nepal at the Tengboche Monastary, Kate took the vow of Bodhisaatva, pledging her life to ending suffering in the world, first her own and then that of all sentient creatures. Kate continues to study Buddhist Philosophy and to practice Vipassana meditation daily. She uses the tenants of Buddhism (which are very similar to the basis behind Cognitive Behavioral Therapy) as the cornerstones of her agnostic coaching practice. Kate first began to practice yoga in 1996, after being introduced to it as an elective at Art Center College of Design in Pasadena. From there she began the search for direct source material. After finding Bikram Yoga, she was accepted as a scholarship student at Bikram's Yoga College of India in Los Angeles. Kate continued to search, eventually finding Iyengar and Ashtanga yoga systems. This led her to the remote Ashtanga Yoga Research Center Bali where she lived for several months in 2013, studying under Prem and Rhada. In 2014, she returned to South East Asia with her two children, studying under Dylan Bernstien at the AYBRC, and then continuing on to Samahita Retreat in Koh Samui, Thailand, where she received her 200 hour teacher training certificate. Kate was invited to stay on at Samahita for a work study program, where she assisted in two additional teacher trainings, taught daily classes, trained the massage therapy staff at Samahita, and began to develop her Yoga Bodywork Adjustments system. 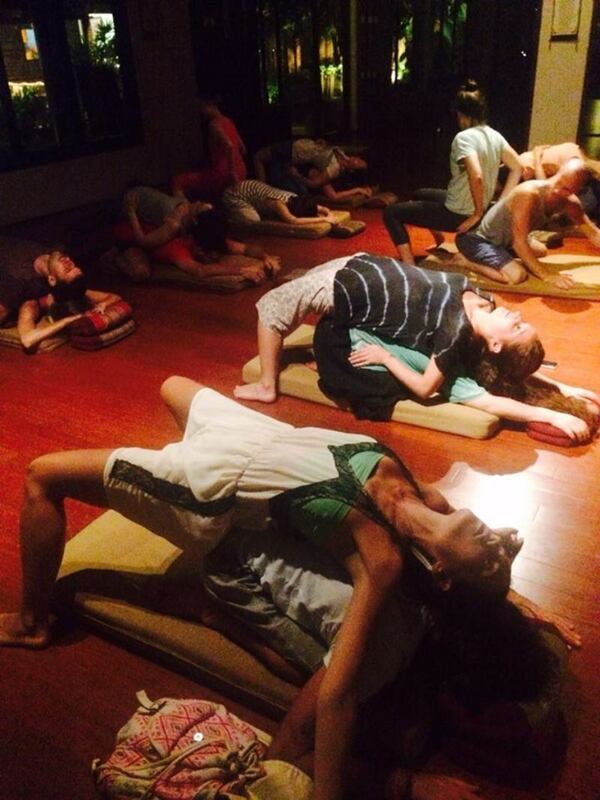 In 2015, Kate and her young boys traveled to Mysore, India to pay homage to the seat of the Ashtanga practice. Kate and her sons studied with Saraswathi Jois, daughter of the founder of the Ashtanga lineage. After a few weeks, Kate was invited to become Saraswathi's assistant. Kate and her boys stayed in India for five months assisting Saraswathi. 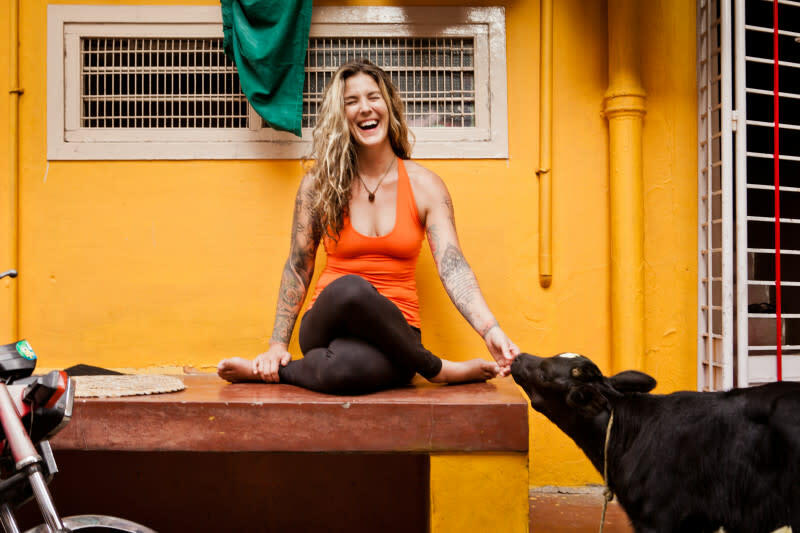 During her time in India, Kate continued to develop her unique CE module for Ashtanga Yoga instructors; Yoga Bodywork Adjustments, using certified Ashtanga Teachers from all over the globe as her workshop base. 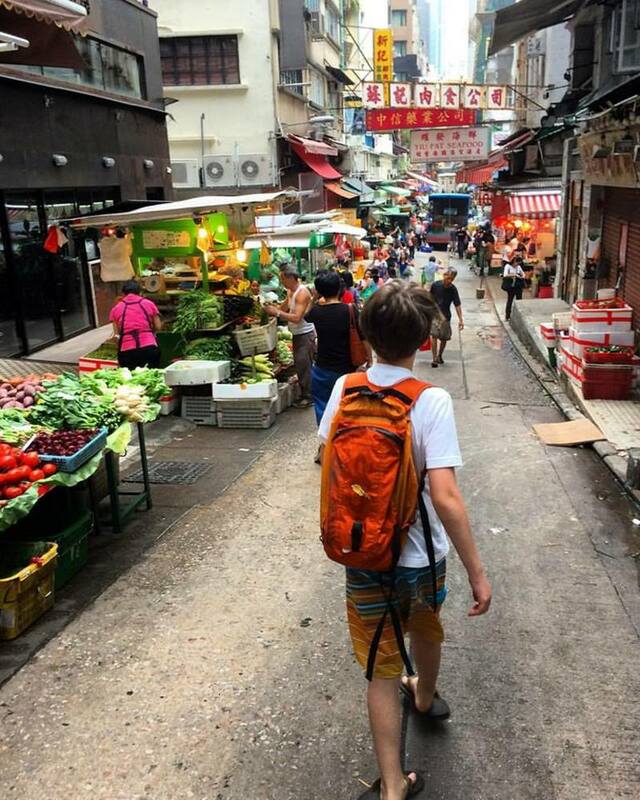 In 2016, Kate and her son Bodhi traveled to Hong Kong to lead the Anatomy portion of a teacher's workshop for Dylan Bernstien, and also gave her first formal Yoga Bodywork Adjustments Continuing Education module. Kate practices yoga and pranayama every day, whether in her living room, on the road in her hotel room, leading classes, or dropping in to local studios and shalas while on the road. 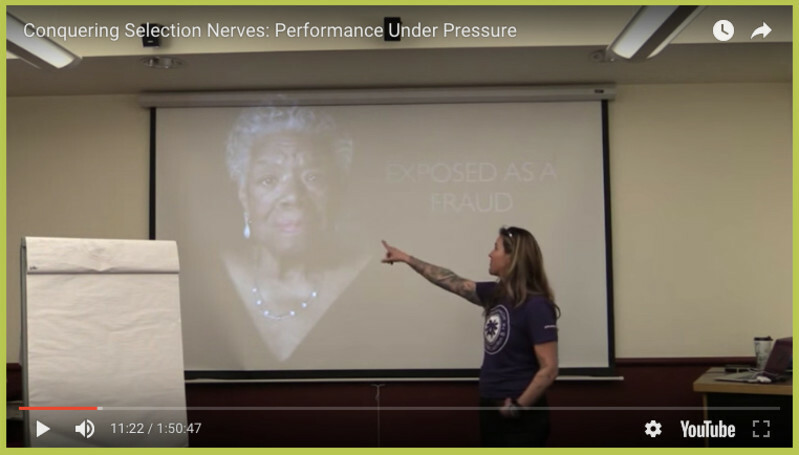 - how to embrace daily practice and repetition "Discipline Breeds Freedom"
Kate graduated from Health Works Institute in 2008 as a licensed Massage Therapist with a specialty in Neuromuscular Technique, Myofascial Release, and Integrated Therapies. Since then she has continued to study, including traditional Chinese remedies, (fire cupping and guasha as well as acupressure), Thai massage, and hydrotherapy to her tool kit. Kate has been the personal bodyworker to Tour de France winners and competitors, the US Women's cycling team, as well as dozens of Certified Ashtanga teachers, the Aspen Santa Fe Ballet, the Chicago Dance Company, and thousands of other folks from all walks of life. She travels the globe giving continuing education courses to therapists at retreats and hotels in Thailand, Malaysia, India and in the United States. Kate loves to teach the general public how to touch each other with reverence and respect, and often holds Partner Massage workshops at yoga teacher trainings and on ski trips. Kate is a mother of two now-teenaged boys. This in and of itself is a huge and continually evolving lesson, as anyone with children can attest to. Kate's philosophy for parenting was to first recognize the underlying skills which seem essential to living a full and fulfilling life, and teach those skills first. Kate feels strongly that parenting her own children is remarkably similar to re-parenting herself through every recovery she has embraced, from the loss of her own father to the recognition and removal of her toxic step-father. Along the way, belief systems are firmly embedded by the adults we trust in our life. It is Kate's job as a parent to be sure that these belief systems, these softwares running in the back ground of her children's mind are thoughtful, compassionate, challengeable and boundaried. Kate believes in checking in with our own operating systems running in the back ground as adults as well, recognizing that prejudices and beliefs can be accidentally picked up along the way and bundled into our automatic thoughts, causing us to walk through life in a less than mindful way. Are you aware why you feel, react, and need the things you do in your life? Did you decide to feel that way, or did someone teach you to believe what you are believing? Bringing awareness to our reactions, thoughts and feelings, and examining their impetus helps us to rewrite programs in our minds that do not serve us in our growth as humans. Whether parenting our children, mentoring our students, or re-parenting ourselves, complacency in old beliefs without a willingness and curiosity to exhume, examine, evaluate and re-program leaves us repeating old habits, and suffering for it. - help you create your own sense of self outside of who others think you are, have been, or must become. Over the past five years Kate Howe has been an incredible ski coach, performance coach, and personal coach for me. 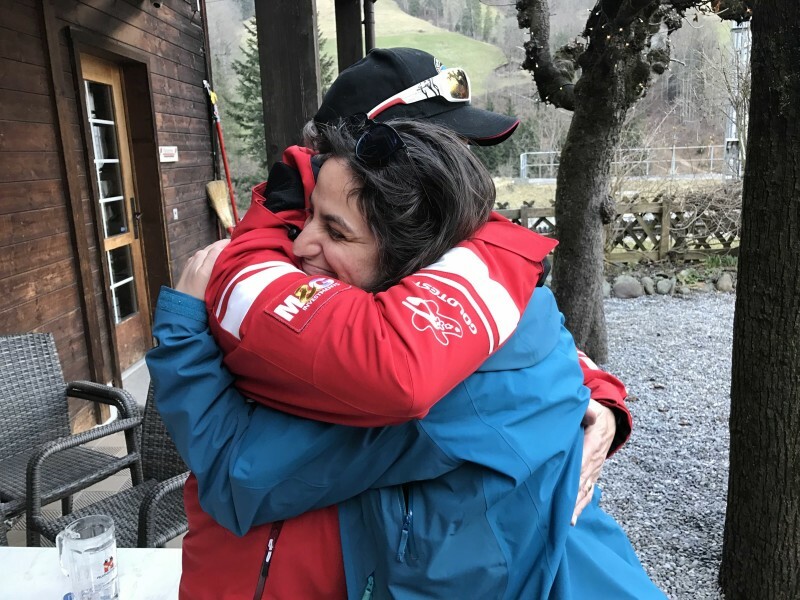 Her expertise, knowledge and ability to connect have taken me from being a blue run skier who used to stop at every rise he could not see over, to having the confidence to tackle any part of the mountain, in any depth of snow both in bounds and back country. Kate's coaching is incredible!! Performing at our best on the mountain, with our families, in our communities or within our businesses requires consistent learning, strengthening and understanding. In my work with Kate she has not only helped me with my ski stance, but even more so with my way of viewing the obstacle in front of me, and the depth of skills I carry inside of me. Her combination of a love of athletics, her family, business and the incredible world we live in puts Kate in an amazing position as a personal coach. She is so multi dimensional, (as our lives are), and is skilled at helping us "connect the dots" to move forward in the direction we would like to go in. 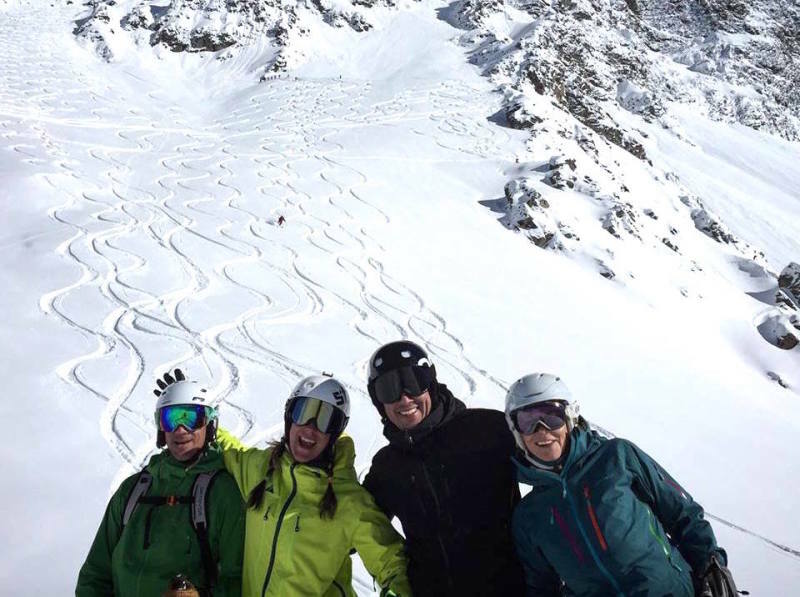 Kate is incredible working with us on the snow, but her gifts as a personal coach are equally amazing helping us "off the snow" to work through the myriad of challenges and opportunities we are faced with on a daily basis. Overcoming injury, both emotional and physical, are strong guiding points in Kate's philosophy of coaching. She's lived through these things, so she knows you can, too. Recently, just before Christmas of 2017, Kate was diagnosed with breast cancer. The outpouring of support from her community was just tremendous, and Kate was really grateful to see how many people had been through exactly what she was facing and not only survived, but thrived. One thing Kate realized right after her diagnosis was that it seemed like the cultural norm was to go into crisis. Kate is really uncomfortable in crisis, she's spent her life trying to end suffering, not encourage it. 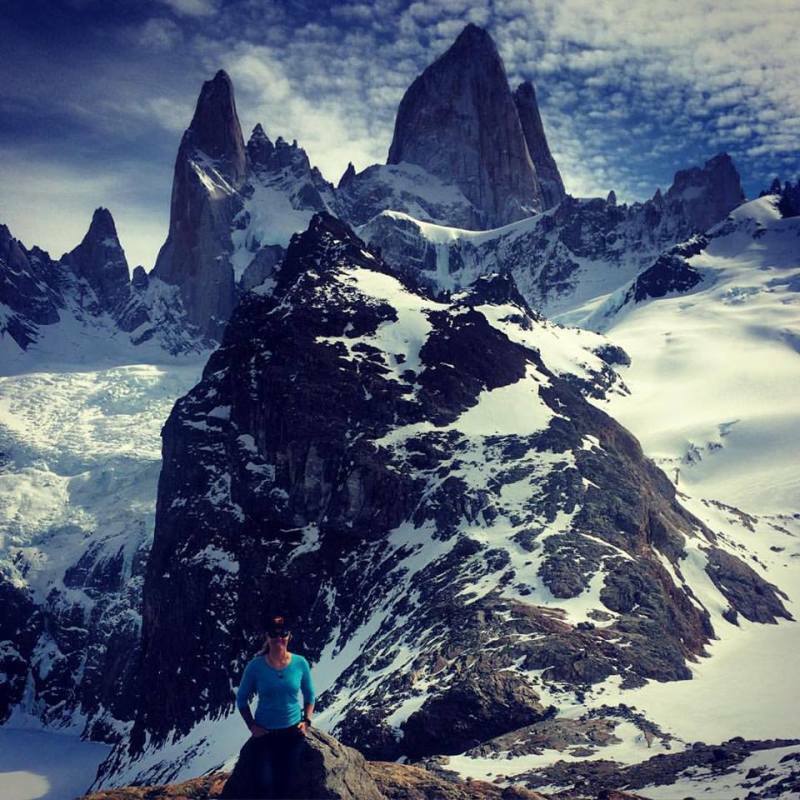 Kate is still in the midst of her breast cancer journey, but she has chosen to apply her sense of adventure to this next unknown just like she does everything else. Kate also broke her neck in two places in 2008 in a car accident and sustained a Traumatic Brain Injury in the same accident. She underwent a two level cervical spinal fusion in September 2012 when she lost the motor nerve to her left arm during a mountain bike race. It took three months to regain movement and control over her partially paralyzed left arm and shoulder. 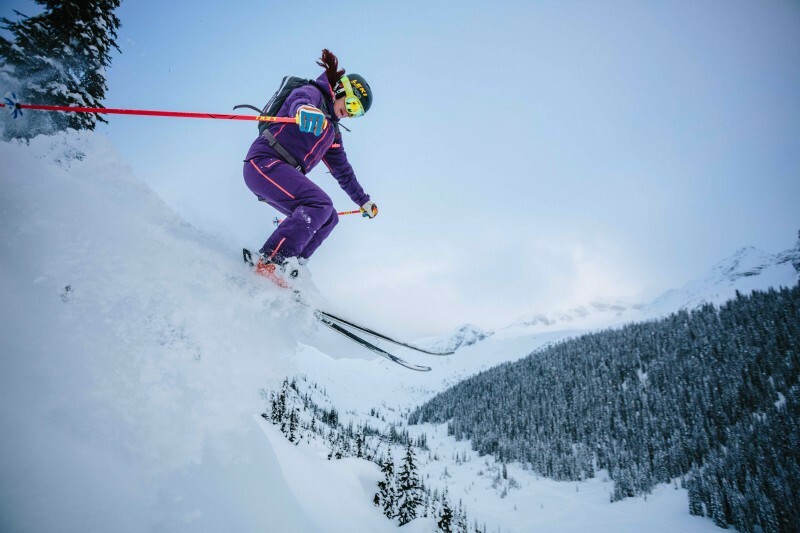 Five months after her surgery she was on snow competing for a spot on the PSIA National Alpine Team. Kate lost her alcoholic father when she was 15 years old to heart disease, has witness the total destruction of her painting studio and 37 finished large-scale art works which were about to go into her first solo show at the Metro in LA as her garage and workshop burnt to the ground with her most precious family heirlooms in the attic. 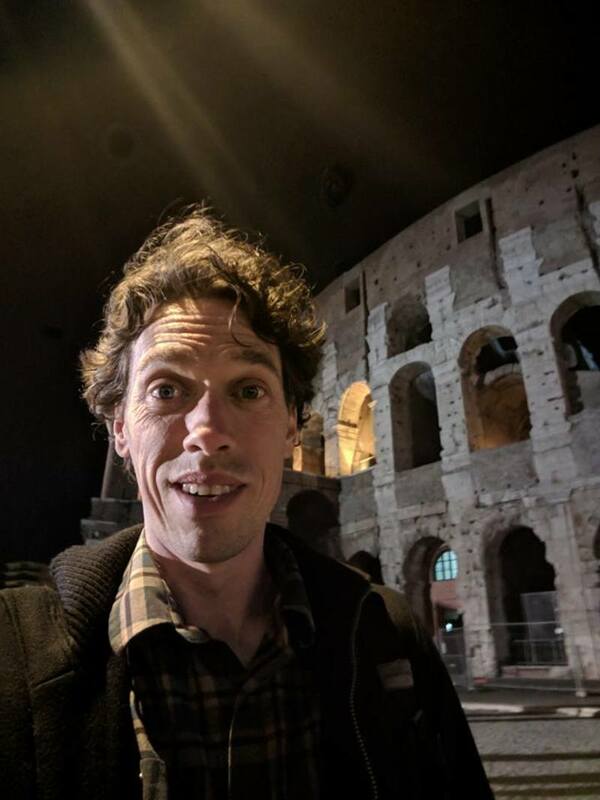 At the same time, as the mother of a six month old and a two year old, she survived the loss of her business (the climbing gym), and the slow collapse of her marriage over the next few years. Kate then found herself in a relationship with a narcissist who was an incredible charlatan and gas-lighter until she was able to break free, study and understand the dynamics of that relationship, and heal from it. Recovering from these physical injuries, along with various other broken bones and torn muscles and recurring rising feelings and emotions about her own self worth, worthiness and usefulness, has taught Kate a lot about patience and grace for the process. On the emotional side of things, Kate is a survivor of childhood emotional, physical and sexual abuse. Kate confronted her abusive step father during this same time and, with the help of her husband, Tom, cut the step-father out of her life in order to protect the children. Kate studied the dynamics of abuse for the next five years as she healed from trauma of both the abuse and the silence and denial which always surrounds events like this. While she doesn't talk a lot about this aspect of her childhood, it plays an enormous role in her understanding of forgiveness of the self. 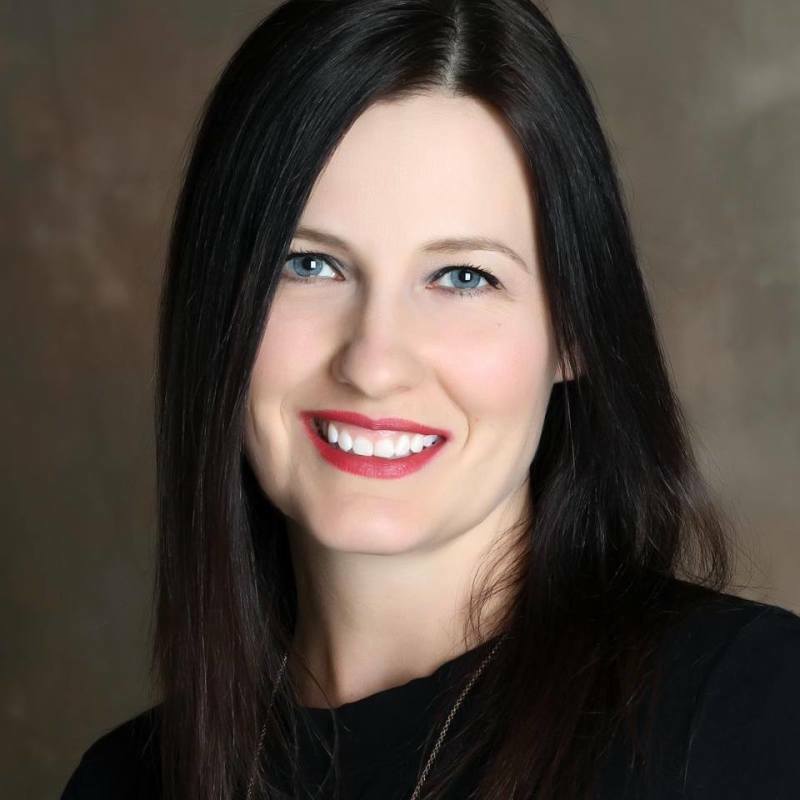 Diagnosed as a young mother with PTSD and Anxiety from her past trauma, she underwent years of Cognitive Behavioral Therapy in order to heal and continue growth. Out of this experience, she began mentoring others on their journey into healing. Seventeen years later, Kate has volunteered at both hospice and rehab centers leading meditations centered on surrender and forgiveness. Kate believes in overcoming. That compassion to the self is the first thing we must learn in order to make a gentle space where we can re-parent ourselves into the fullest expression, maybe the never even imagined expression of who we can become. Schedule your free 1/2 hour consultation now! Lacking direction, passion, swamped at work, disconnected from partner or self? It's just not... quite... what you were hoping it would be? Let's talk it out, define some perspective, make a plan to help you move forward with purpose and passion. Skill Acquisition and Physical Discipline study. Kate has long believed that the practice and study of a physical skill is the sandbox which reveals all the insidious ways we hold ourselves back. These are some of the arenas Kate has coached and learned in, providing her with a lab in which to continuously study how our feelings and beliefs about ourselves affect our ability to acquire and execute physical skills. Kate has loved travel since the first time she remembers seeing her mother's passport full of stamps and receiving a wooden machete as a gift upon her mother's return from Antigua when she was about six years old. 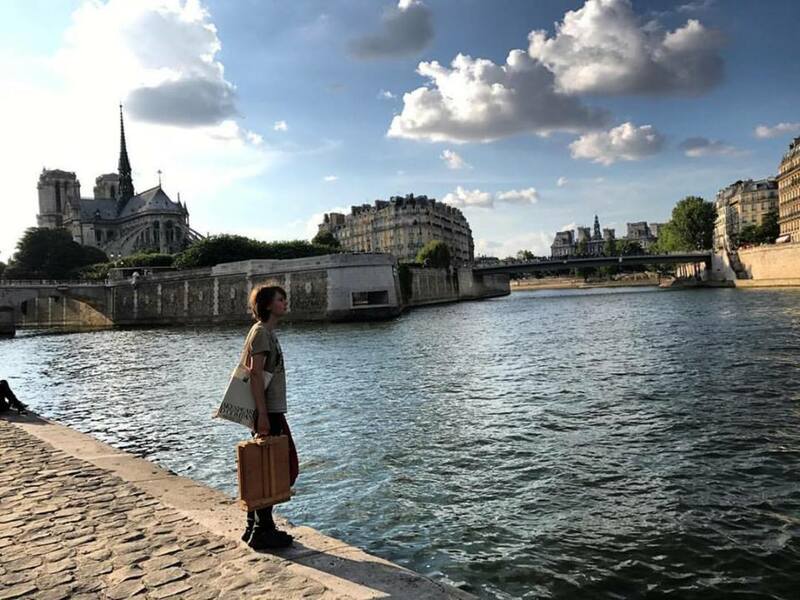 Kate began traveling the moment she had saved up enough for a plane ticket, and realized quickly that going to a place where you don't speak the language, don't know the customs, and don't know how much the money is worth is good stress. The project of learning a few key words, figuring out where to eat, befriending locals and beginning to join them as they go about their daily lives became illuminating to Kate. Every time she exposed herself to this kind of good stress, she learned something about herself. In her later years, she began to travel with her sons, eventually spending 8 months in Indonesia and Southeast Asia one year, and nine months in India and Asia in the next year. The boys would design their "visa runs", trips across the border and out of the country they were staying in so that their tourist visas would stay valid. Kate and her sons traveled to Malaysia, Singapore, Indonesia, Laos, Cambodia, and all over India as well as France, Belgium, the Netherlands and England together over the last four years. Kate is an adventurer at heart, and she is always willing to try the food! - how to live a life based upon saying "yes"
Kate skied about 30 days as a kid, and began teaching and skiing again as an adult at 35 years of age. 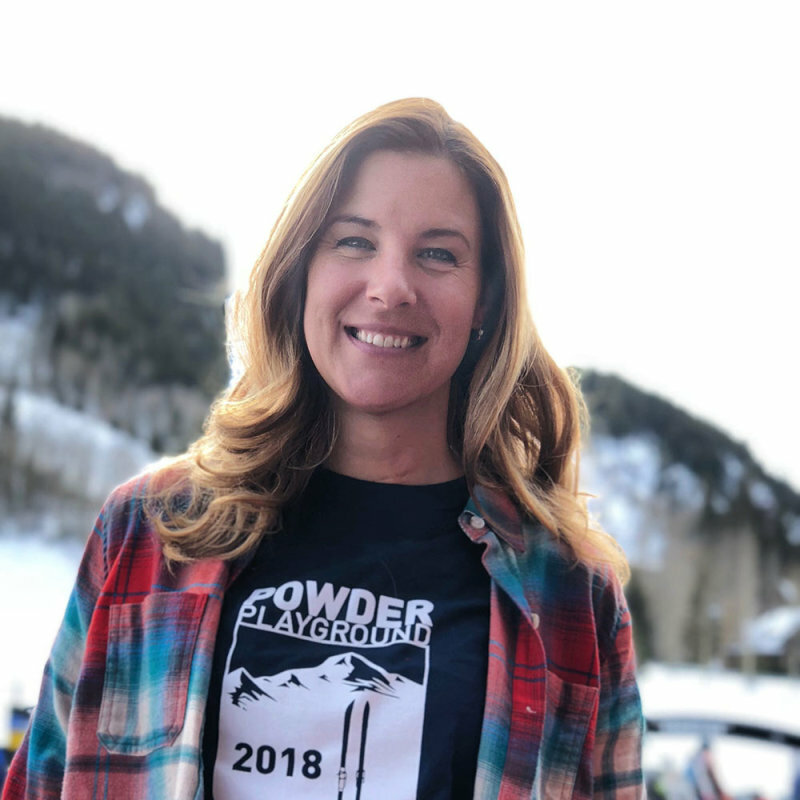 She dropped her kids off for lessons at Bridger Bowl in Montana one day, and was hired to teach Alpine Skiing later that week. For the next ten years, Kate would go on a journey of skill acquisition in a world she had never been a part of. 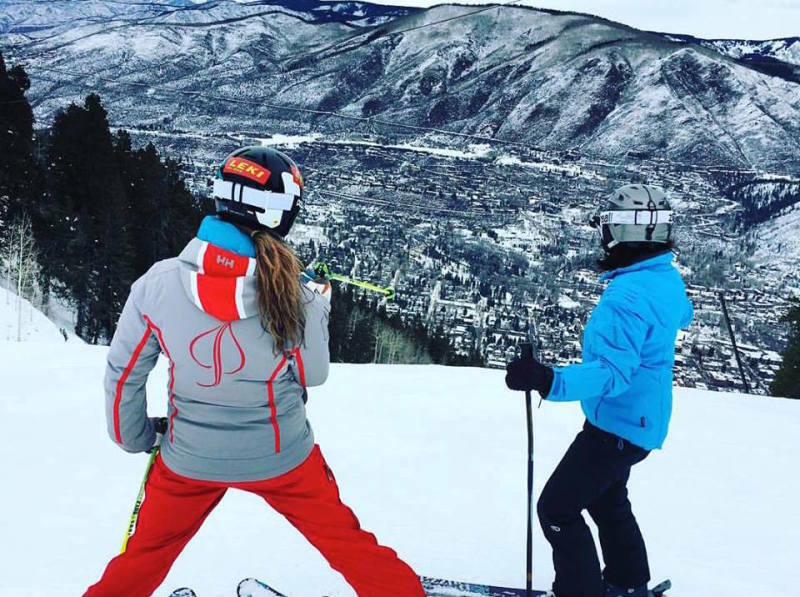 This journey would include trying out for the PSIA National Alpine team in 2012 and 2016, being hired as an Examiner for PSIA-RM in 2016, becoming a trainer for the Aspen Skiing Company in 2010, and starting her own travel ski business in the same year. The sandbox of skill acquisition in skiing afforded Kate an opportunity to observe her own sense of self, self-worth and story, to confront difficult realities from her past and make choices which were difficult, but in line with her own personal growth, sparking her to share these kinds of experiences with others who are eager to continue growing and becoming beyond what they imagined they were capable of. In her journey in skiing, Kate was fortunate to find a mountaineering partner and back country mentor in her best friend, Kurt Fehrenbach. For a decade, they skied in the back country all over the Western US, and eventually all over Chile and Argentina as well. In a culminating journey, Kate and Kurt rented a van in Santiago, Chile, and lived in it as they drove down to Ushuia, Argentina, climbing and skiing all along the way. On the return trip, they drove the Carretera Austral, and climbed and skied all over Patagoinia, Chile. Kate was actually afraid of her bicycle when she moved to Aspen in 2009. She felt comfortable riding around town on dry pavement, but the idea of riding in snow, ice or dirt was truly terrifying. 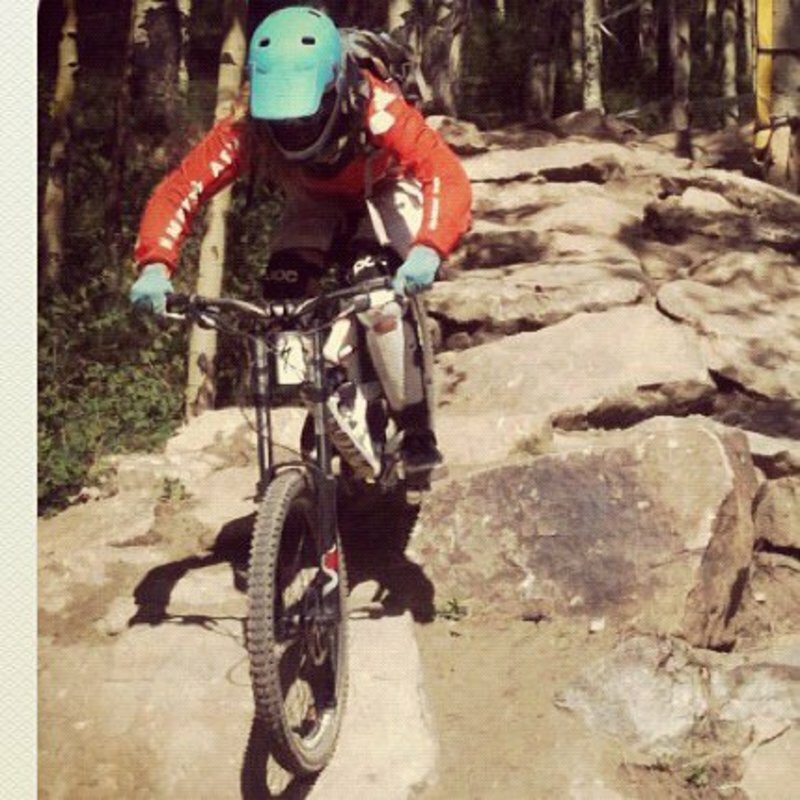 Fast forward a couple of years, and with practice, Kate began to win races in Down Hill Mountain Biking in Colorado. Many people mistake this for "having no fear" or being an "adrenaline junkie" but that couldn't be further from the truth. Kate believes that skill acquisition and risk mitigation, as well as a productive coachable mindset open the door to activities which would otherwise seem way out of reach. While Kate loves to push herself in all kinds of activities, (she's also a certified Rescue diver, a WEMT, and holds certifications in numerous back-country skills including AIARE 2 Avalanche certification, high angle rescue certification, swift water rescue certification and more...), you don't have to try something that seems insane in order to get similar benefits. Just the act of stepping a LITTLE BIT outside of your comfort zone gives you all the benefits of positive stress and personal growth you could want. Kate grew up riding on the front of her father's Harley Davidson as soon as her tiny legs could reach across the gas tank. When she was 13, Kate's father was in a horrific motorcycle accident which put her off machines with two wheels seemingly permanently. Visiting her father in the ICU wearing a fixitor on his head with two holes drilled into his skull to relieve pressure on his brain was enough to make even the most adventure hearty soul back off from bikes. While in Bali in 2014, Kate realized that it would take three and a half hours in a car to go where she and the boys and their surfboards could go on a motorcycle in a half hour. She asked her Balinese friend to teach her how to ride a motorcycle. 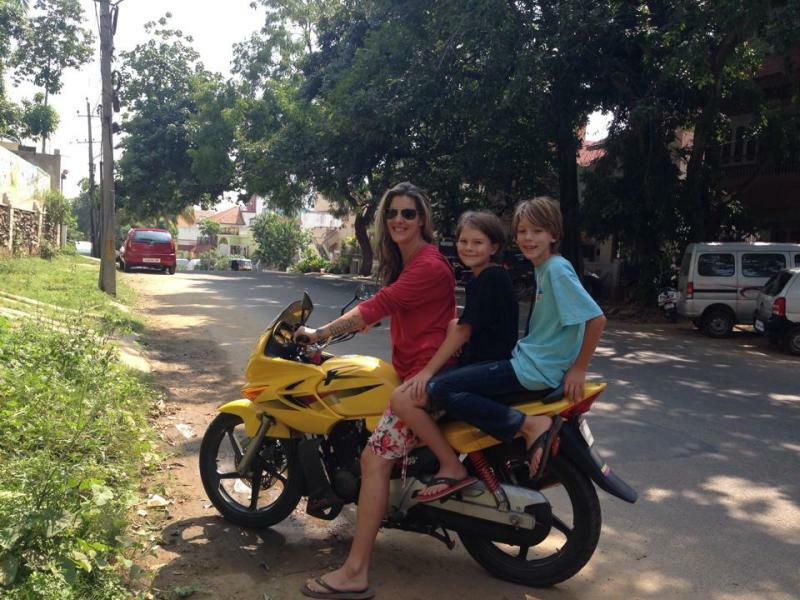 For the next three years, Kate and the boys got around all over India and Southeast Asia on two wheels, carrying both kids and all their groceries and surf boards. Although traffic is an intense experience in these parts of the world, most of the traffic that is NOT pigs, cows, ducks, rickshaws and bicycles were motorcycles and scooters. There's a bit of safety in numbers. In 2016, Kate was ready to get on the road in the United States, and had to face her fear, the story in her heart about her father's fate being her own, and let go of all of it. She attended an ABATE motorcycle course and became licensed. 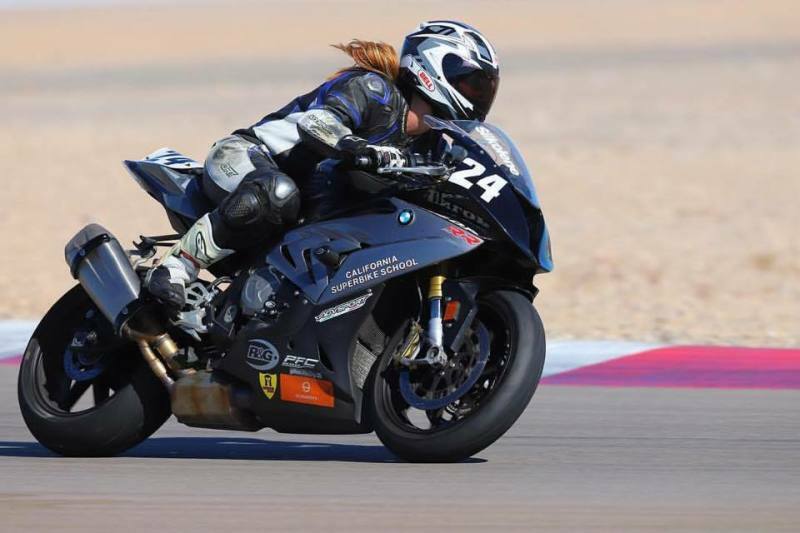 In the summer of 2017, Kate attended California Superbike School with Keith Code and got to ride the BMW S1000RR on the Las Vegas Motor Speedway, graduating from Level 2 of the school. Because she faced her fear, Kate now enjoys riding her vintage 1993 CBR 600 F2 all over the incredibly scenic and thrilling canyon and mountain roads in Colorado with her partner and friends. Contrary to popular belief, Kate is NOT an adrenaline junkie, nor does she have "no fear." In fact, Kate lives with a lot of anxiety in her life. She dislikes the feeling of adrenaline, that feeling usually means she has made a mistake and is dealing with something unpleasant. Kate enjoys developing a skill set enough that the skill and understanding of the situation mitigate an enormous amount of the perceived risk. To this end, she enjoys studying the why and how of things, and testing herself in increments to see if what she believes about her capacity to try new things in the world is true or not. Most of the time, this experiment leads Kate to a place where she realizes that all restrictions she had placed on herself were false. Kate met her partner Tom in 1997 in Los Angeles. She walked into a local rock climbing gym curious about the sport, and Tom was an instructor and accomplished climber working at the gym. Kate and Tom later went on to open Jungle Gym Rock Climbing in Arcadia, California, where Kate became the head coach of Jungle Gym's competitive climbing team. Kate and Tom designed and built their gym with their own hands and with the help of many talented and dedicated local climbers and friends. Together Kate and Tom pioneered insurance standards for landing surfaces, summer camp and climber development systems which had previously not existed in the industry, and trained a generation of climbers, some of whom went on to compete in international difficulty competitions. 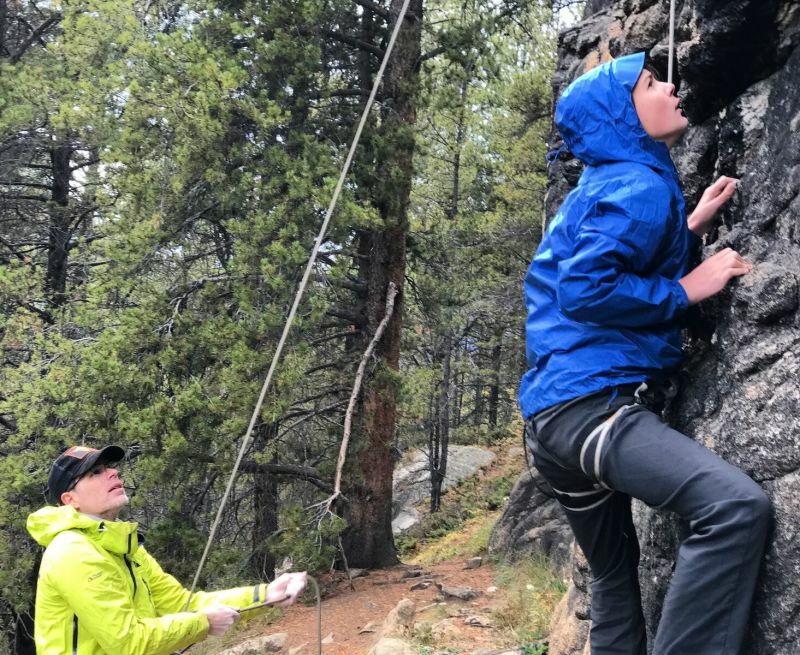 The climbing gym was the first sandbox where Kate realized that personal beliefs about oneself and one's potential, worth, and capabilities shape the reality behind skill acquisition. Change personal beliefs about self-imposed limits, and you change your physical capacity. Today, Kate and Tom and their two children climb together all over Colorado, indoors and out. Kate's technical understanding of climbing gear and technique has been a huge asset to her when crossing over to Ski Mountaineering, where summits can often be technical rock and ice mixtures. 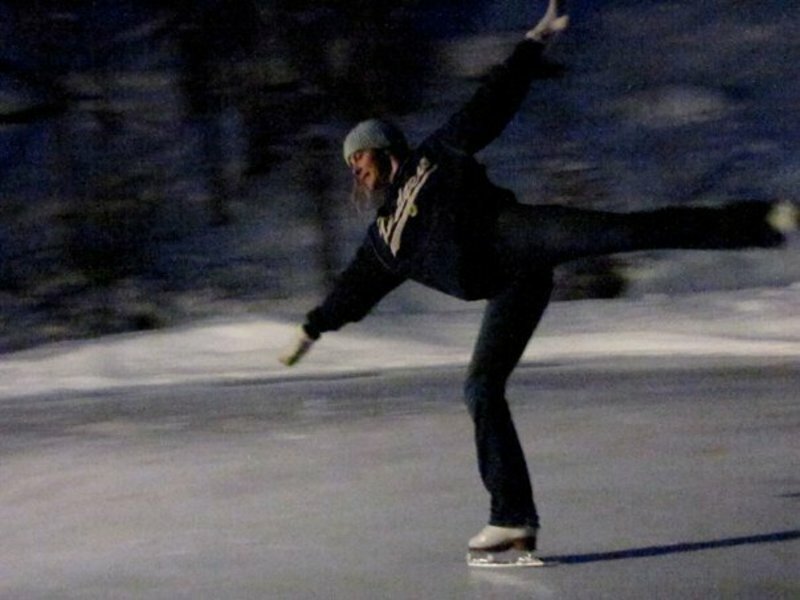 Kate fell in love with figure skating when she was six years old. Her elementary school was across the street from a small local skating club called the Winter Club in Palo Alto, CA, where Kate grew up. Kate would spend all of her free time at the rink, poaching her friend's skating lessons and skating around in their old gear. 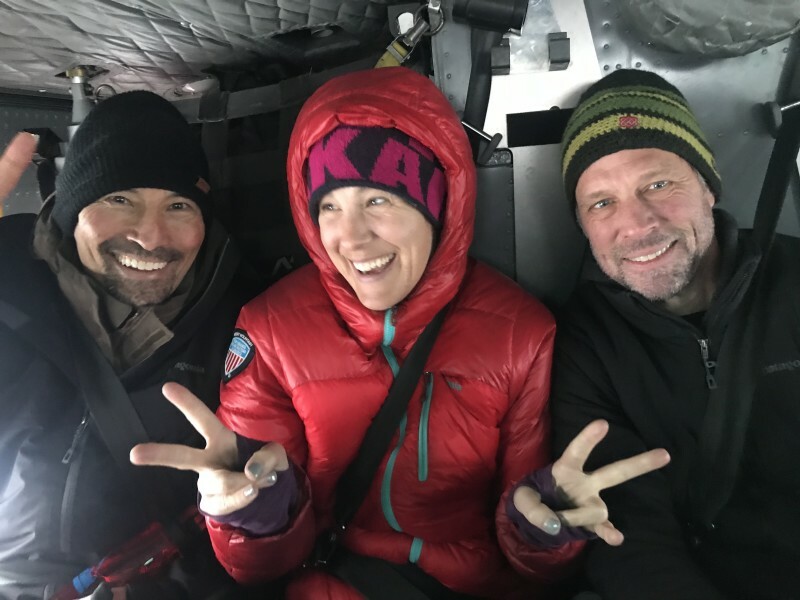 Eventually, Kate won a scholarship to the Ice Castles International Training Center in Lake Arrowhead, California where she studied under Irina Rodnina, Elyena Tchernekova and Frank Carrol. Kate retired from professional figure skating in 1993. Because Kate was on scholarship, she had to earn her time with the top coaches. In order to do this, she needed to show that she was worth their time. Kate worked to develop her skill acquisition pathway, basically devising a system in which she trained herself to be as coachable as possible. Kate uses this basic framework of open minded coach-ability to this day in her own practice and as she works with others. She now enjoys skating on her local pond and cheering at local hockey games. 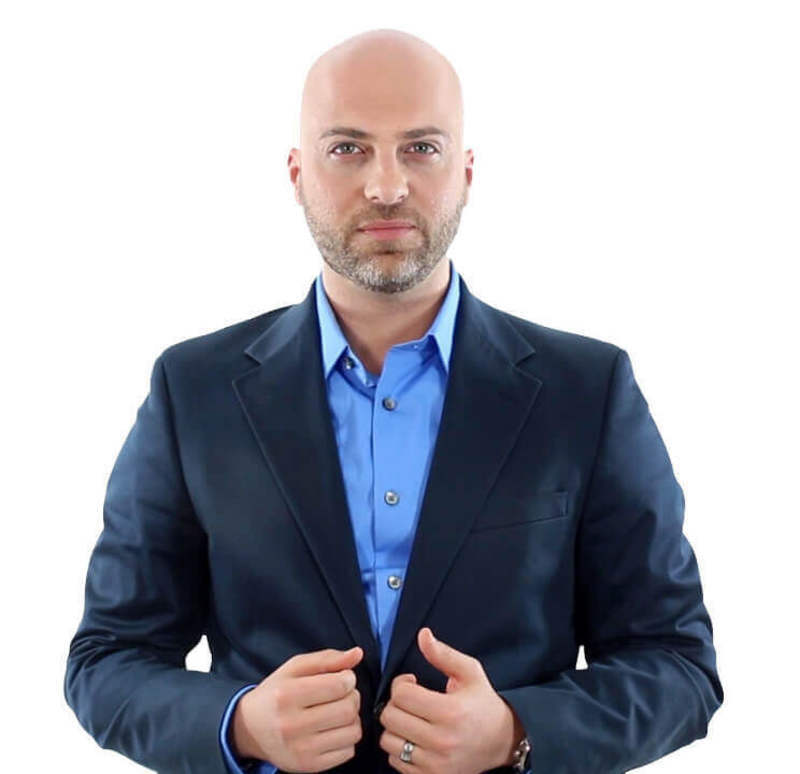 - when you are able to receive direct critique and criticism in real time, in front of others, and take away only the positive skill improvement message, and, without ego or judgement, go practice and implement them, you are free to become as good as you desire in your skill area. Kate's mother was a painter and her father was an opera singer. Kate's entire early life was steeped in the arts, going to museums, watching her mother paint and draw, and laying under the piano listening to her father sing. Kate attended the School for the Museum of Fine Arts in Boston as well as Art Center College of Design in Pasadena with a concentration in Fine Arts. 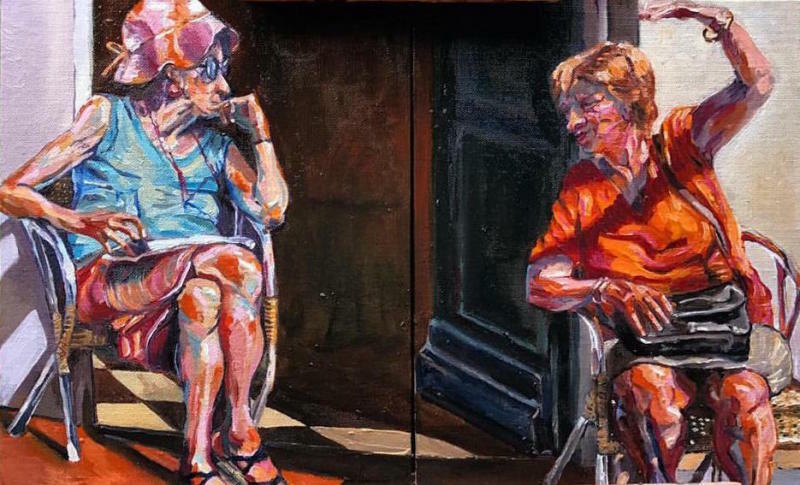 She is still an avid painter and museum goer. Every single trip that Kate puts together includes an optional day in culturally significant areas of the nearest city exploring art, music, food and culture. - remember that the arts are the heart of the world, the way humans try to explain to each other the world they live in. Positive Stress is one of the things that Kate believes helps us expand our capacity for happiness. Kate grew up in the theater watching her father perform on stage, and eventually, performing herself. Kate has been an actor, a keynote speaker, a trainer, a stage manager, lighting designer and scenic designer in over 120 productions, winning an LA Dramalogue award for her lighting design (with designer Jon Rathman) for her 1995 production of O! Pioneers with TheaterWorks in Mountain View, California. She is now a teacher for Theatre Aspen where she teaches Improv, scene study and character development. 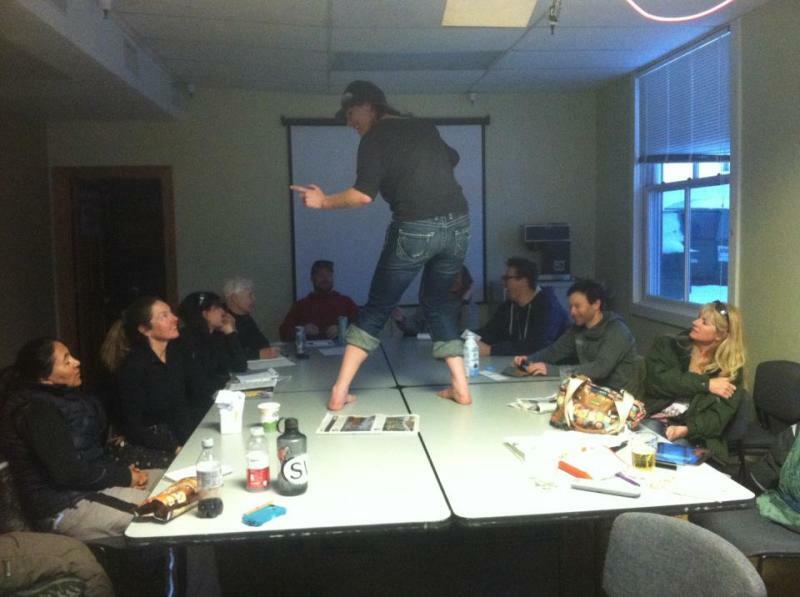 Kate also runs "Performance Under Pressure" workshops and other large trainings for Aspen Skiing Company, many of which are based on her theater expertise. 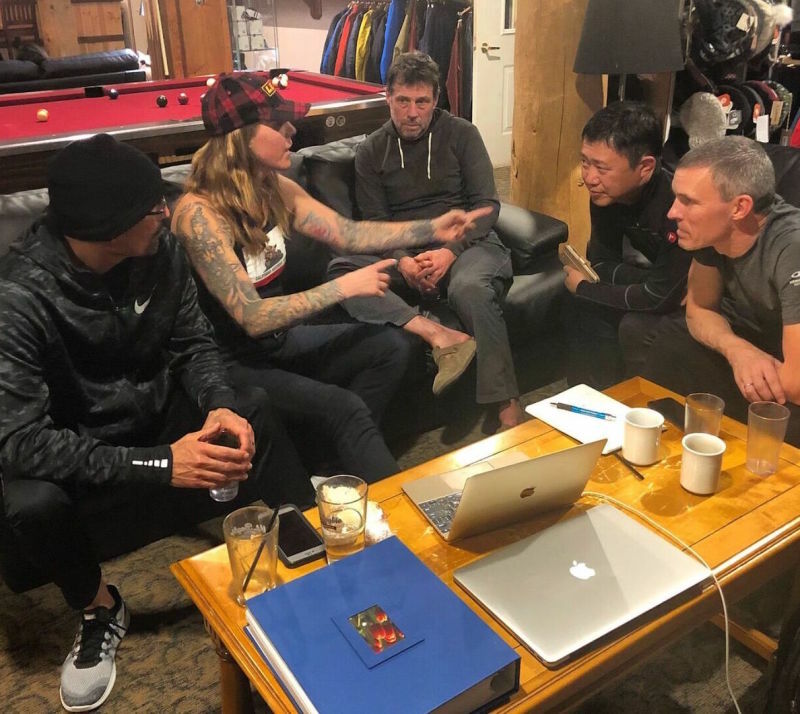 Being a trainer and instructor for the Ski and Snowboard schools of Aspen/Snowmass has allowed me to connect with people, share knowledge, and change people's lives. For the past eleven years I've been a ski instructor for the Ski and Snowboard schools of Aspen/Snowmass and absolutely love it. Every day I get to be a coach, a friend, a teacher and an athlete, and share those experiences with clients and instructors. 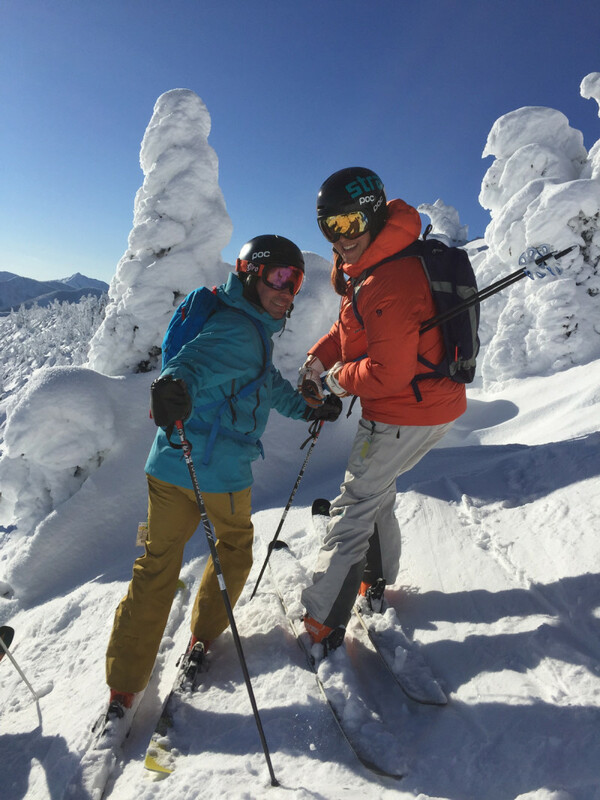 As they ski, my clients let go of things that have held them back from transforming themselves into the skiers and athletes they are inside. I came to Ski and Snowboard schools of Aspen/Snowmass eleven years ago because of the excellent reputation of the training department. I'm honored to be a trainer in our school, and I believe that failure is an essential part of learning. To that end, I strive to create safe spaces for our pros to experiment and fail on the way to deeper understanding. I believe that things you love to do are more fun when you are good at them. In order to get good at them, you have to be coachable. You have to be looking for teachers and recognize them when they show up. You have to be a rabid student. 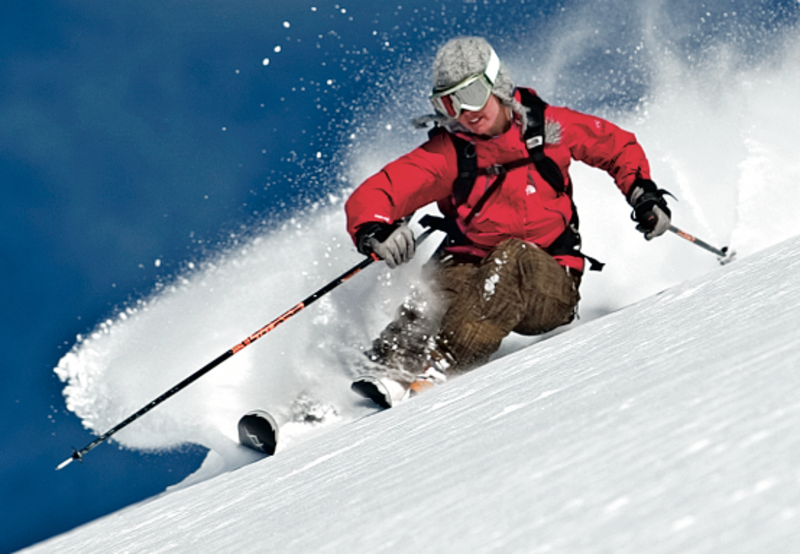 I have spent the last thirteen years studying the culture, history, and technical foundations of skiing, from PSIA to big-mountain skiing, in order to better understand the sport that I love. We got to watch her rip that gorgeous line. She totally charged it. Sign up to hear about coaching opportunities, transformational adventures, workshops, events, and more. We will never share your information with anyone for any reason.